Coding is the in-thing right now and for most people considering getting into that space professionally one of the biggest questions you may have is, “where should I start?” A good place to start may be in understanding what languages are popular in the job market right now and balancing that with whatever it is you’re interested in. Proficiency and skill in one of the above is great but it seems the market requires that its developers be swiss-army knives of sorts and understand more than one language. Degrees and diplomas are still very much of a big deal and usually, companies require developers to have either a degree or a higher level national diploma. No space for self-taught developers? On occasion, the developers who are self-taught can get an opportunity to show their skill but more often than not their lack of any “formal” qualification results in HR departments just binning the CVs that do not meet the ‘defined’ criteria. 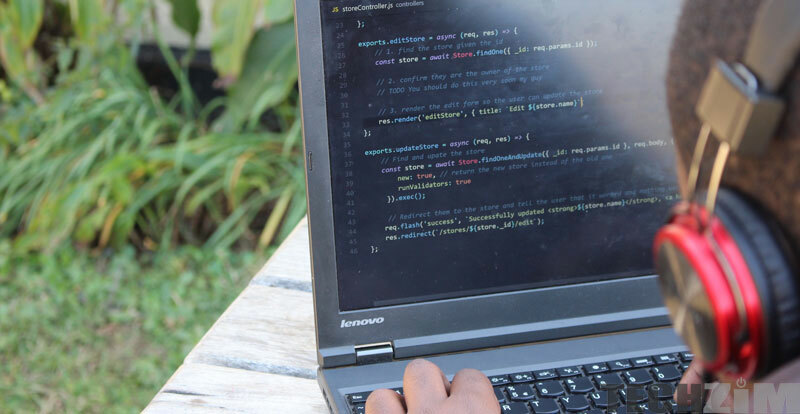 For developers who are self-taught, they have a higher chance of getting employment at startups and smaller companies who have budget restraints or are generally more prepared to tests one’s skill and not just look at a degree. The redeeming quality is that you can always build your body of work by building apps or websites and then present that portfolio as your proof of proficiency. Developers could always walk down the more difficult path and use the skills they learn to start their own ventures. We’ve seen many local developers who are releasing apps in their own capacity or working as freelancers. This could be a more viable path and with some creativity, you never know where this could end up landing you. No matter how far u say u code self-taught, coding carrier goes beyond writing lines of code iterations, there is a lot goes with that, u cannot hide away from the premise that Mathematics class should not be adandoned, algorithms study and other constructive courses from a Comp Science, Info Sys, Comp Eng cannot be blinged away from. I find out that in Zim @ least from some monkeys who think u can conquer the software development paradign easy and fast without a formal education in that regard, they soon learn that that “Introduction to Programming” or “Design and Analysis of Algorithms” etc courses are critical. Serious coders or programmers are serious thinkers, mostly who have a firm touch on Math and Algorithms among other supporting courses. How can one simply code a banking application without attending the “Concurrency class and that notorious multi threading course” let alone to code stack data structure or queueing data structure based system….go back to school and do your Math class and please dont throw tomatoes on that ‘poor algorithms course’ lecturer, u will remember him when u get employed by some serious company for serious software development. your arrogance is very astounding. condolences to your colleagues and peers, if you have any. Im eager to compare your work to someone who self taught. Don’t despise them, just sit down with one of them and understand what they self teach themselves. You will sometimes be astonished. The degree does not give the skills it claims it does. yes it creates a base or foundation but a very weak one when we evaluate the curriculum. i am a computer science student and i am proud to say my skills are self taught and the degree i am going to attain is just documentation. As a Software Entrepreneur (NUST graduate with Oracle and Microsoft certifications) with 20 years of coding behind me (mostly banking applications) and a serial employer, I can tell you one thing. A degree does not write code, a human being does. I agree that someone good at math will be a better programmer generally. But in zim and Zambia whereally I am based now, I have realised that most computer science students do not even do their assignment’s themselves they just copy from that one good coder in class. it’s possible to have someone with a computer science degree but totally useless in an IDE. They will expect lots of money yet they are basically learning from scratch. In Zambia I have now started recruiting young people who have distinction in high school math but no funding for college then we pay for their fees for a part time degree as they work with us. The degree will be for their future rather than their present. Within a year our proteges will be writing apps and supporting our banking solutions comfortably. So I can assure you the degree does not matter one bit as long as they are good at problem solving, which a good math score indicates. employers in developed countries care more about industry certifications from companies such as Oracle and Microsoft than the degret, but in Zimbabwe where so many degreed people are unemployed the employers can afford to demand one. So my advice is to get certifications as you learn more relevant stuff than college. I agree with you on the issue of degrees, but certifications have their own issues. My biggest problem with certifications are brain dumps available by the boat load on the internet. I have seen someone get a Java certification in less than a week. Personally, I think any sort of qualification should be treated as a personal achievement. I would advise companies to employ some form custom skills test that aligns to their requirements rather than depending on qualifications. I see nothing wrong with being self taught. Especially in today’s world with YouTube and Udemy and free online courses from the likes of MIT available online. There are some good things taught in college but programming is better self taught or learnt on the job where practical results are more important than marks. Think of them as “skills” … HTML is indeed not a language but it was one of the most required skills. yeah HTML, SQL, MYSQL are not programming languages. While I see where you guys are trying to go with this whole SQL is not a programming language, let’s be pragmatic about this. The L in HTML and SQL both mean “Language”. And TSQL and PLSQL which are subsets of SQL areally technically programming languages since you can write procedural code in them. And consider that a recruiter is not going to give two shakes if a ducks tail what you as a techie call it, they will call it as THEY see it. interesting comments I have read, I would like to say that self taught is better than a degree out of the class few people would have grasped the concept, to many they just want to get a degree.